I’m at a “pre-Coachella” themed office party, and everywhere I look someone is clutching a pack of smokes. Women grip their packs as they touch up their glittery makeup before hitting the photo booth — and once there, they pose adoringly with them. Meanwhile, the men in line for the food truck drum their fingers against their packs as they wait, and fiends like me pick up stray display packs, shamelessly shaking them in hopes of discovering a spare smoke forgotten in its crevices. Needless to say, thick clouds of smoke billow throughout the halls of this office space, the kind that’s designed to look more like an apartment than the homebase of a corporate entity. I haven’t entered a time warp, though, and found myself in 1960. As far as I can tell at least, it’s still 2019. And so, the vibe is much more MedMen than Mad Men. Or more simply put: These packs are full of joints, not cigarettes. Lowell refers to itself as the “#1 pre-roll cannabis company” because of the popularity of its packs, which they call “Smokes.” According to Sean Black, the company’s creator and co-partner, Lowell produces four out of every ten branded pre-rolls sold in California. In fact, in 2018, Lowell was the highest-selling branded pre-roll on the market, and with sales showing they’re double digits ahead of their closest competitor, the Lowell team anticipates retaining this status in 2019. During the peak years of California’s medical marijuana market — or the time before weed became legal for all adults in the state in 2018 — pre-rolls were most commonly acquired as a free gift at dispensaries. 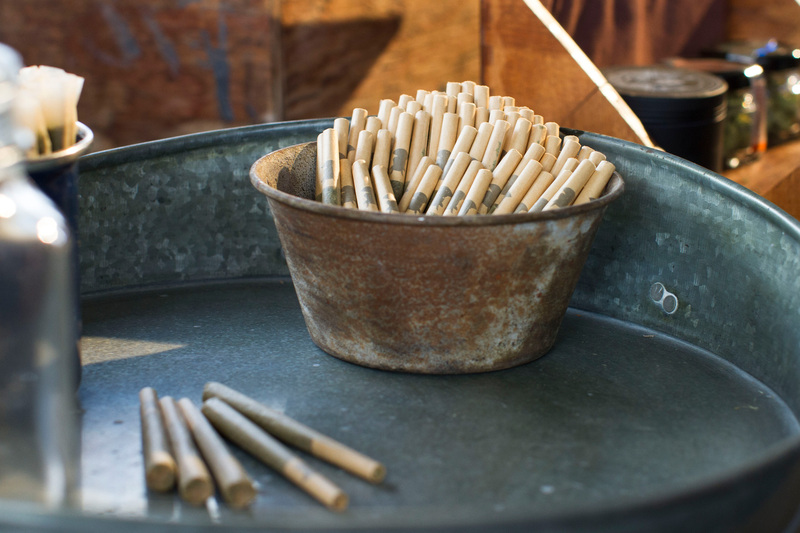 Whether given to customers during certain “happy-hour” periods or distributed as rewards for large purchases, pre-rolls were generally created by budtenders during slow business hours. Under current recreational law, though, budtenders are no longer allowed to roll customers joints, and dispensaries are no longer allowed to offer customers pre-rolls for free. And while some dispensaries still create their own pre-rolls for purchase, often priced as cheap as $5 a joint, this lack of freebies means there’s more appeal in “branded” pre-rolls such as the ones Lowell makes (which sell for $40 a pack, pre-tax, roughly the same price as an eighth of flower of comparable quality). Wagner Dimas Inc., a business co-founded by its Chief Technology Officer Wagner Dimas, is probably the best example of this. The company is all about creating technology that makes the mass production of pre-rolls easier for the brands who want to sell them. As such, as of last year, it reported creating pre-rolls for more than 30 cannabis brands. Instead, Lowell packages its smokes in a slidable pack that comes complete with high-quality matches and a textured edge to strike them against — the perfect blend of thoughtfulness and convenience. 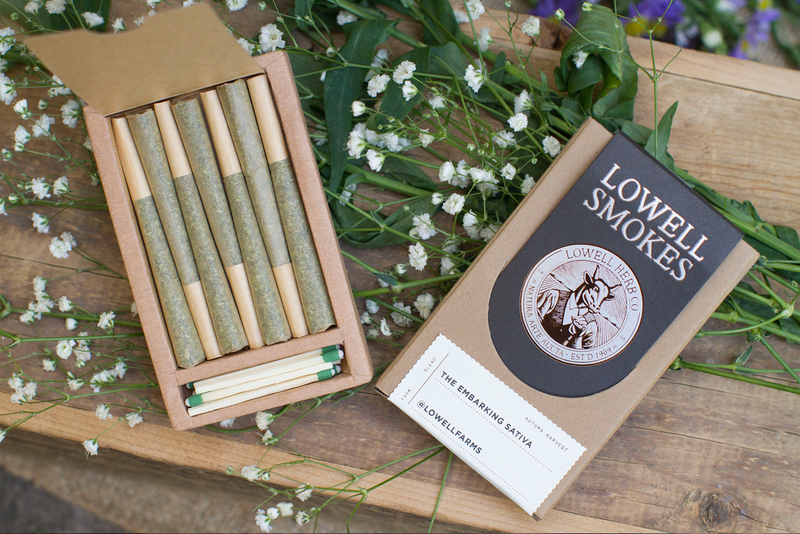 Such packaging has made Lowell an early mainstay at dispensaries, especially as one of the only joint “packs” that mimics cigarettes. “I’m a tobacco smoker and that’s part of why I love pre-rolls,” a guy at the Lowell office party tells me. He says he buys a pack of pre-rolls every six weeks, which is how often he buys weed, and that one pre-roll can usually last him a few days, if not a whole week. Also, according to Black, a joint is the “purest expression” of cannabis. Vapes may be a popular, potent, ashless and odorless way to get stoned, but Lowell remains committed to smokable flower (at least for now). Black says he’d rather experience the plant directly, in the simplest way possible. He certainly isn’t anti-technology or anti-vaping, but with Lowell flower, he knows he’s selling (and smoking) weed that has its many cannabinoids and terpenes intact. He compares his interest in a great joint to the way a chocolate snob prefers a clean piece of high-quality dark chocolate that’s steeped in antioxidants and natural sugar to a convenience-store candy bar. Of course, it’s not hard to imagine in this ever-more legalized land that convenience stores will also soon be selling pre-rolls alongside their candy. Here, too, the comparison to the tobacco industry more than holds. Namely: After centuries of rolling their own smokes, not everyone bought branded cigarettes when they first became widely commercially available in the U.S. in the late 1890s. But sales soared by the early 20th century, and today, pre-rolled cigarettes reportedly account for 93.7 percent of tobacco sales in the U.S. Which recalls a funny moment at the Lowell office party. Amid all the free pre-rolled smokes, there’s a crafty area full of papers and glass canisters of weed for some DIY rolling. And while it’s never barren, there is a clear consensus among most of those who attempt to roll their own joints: The pre-rolls beat their own efforts every time.